Running out of space in your trunk? 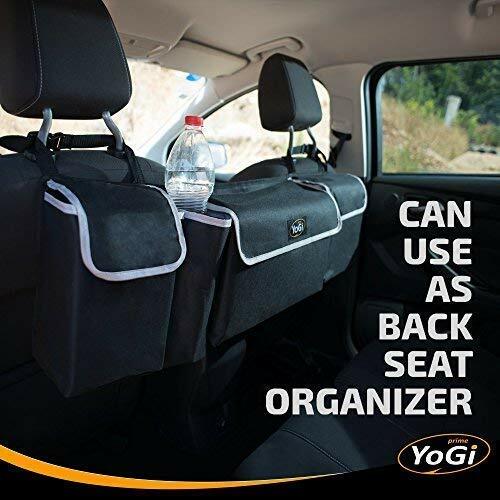 Make your backseats work harder the backseat car trunk organizer that will utilize the potential storage available in your car, van, suv or pickup truck. 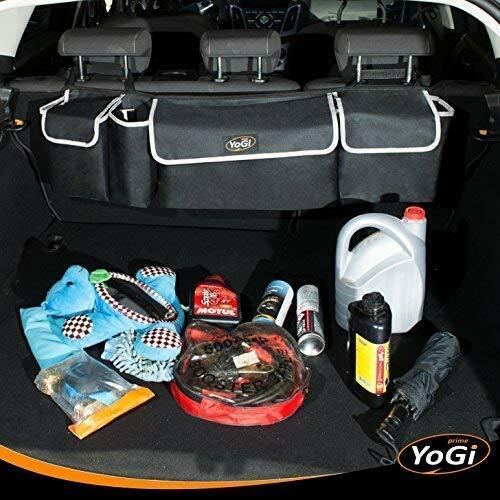 Our YoGi Prime car storage will give you back your trunk floor space by conceal all items that was thrown around in one place, hanged on your headrests and keep your trunk floor free. 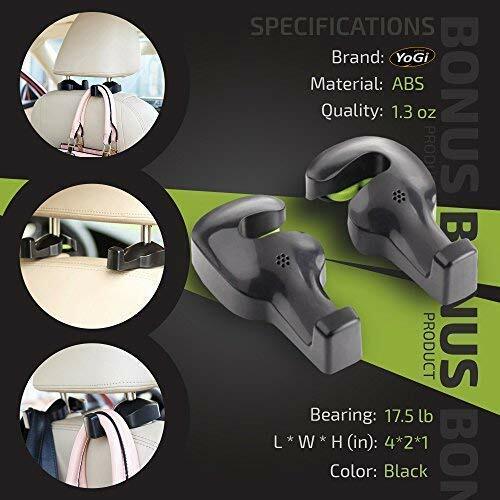 Fits most vehicles with trunk: Appropriate size and adjustable straps make sure the organizer will fit most vehicle’s headrest. Great for cars, vans, suv, etc. Specification condition: Brand new material: High grade 600d polyester material. Color: Black with grey lining. Dimensions: W 36” x h 10” x d 4.8” (90cm x 25cm x 12cm) the 4 pockets sizes give you the option to store specific items in your chosen place making it easier to separate the big items from the small. Deep and robust pockets provide storage for various items without the concern of any items falling out during bumpy transportation. 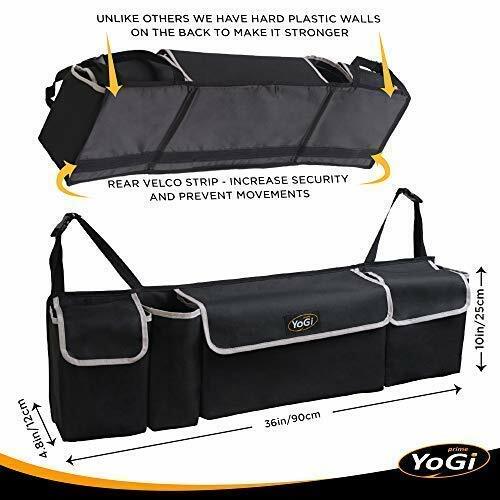 Additional lining and stitching gives increased strength to the pockets, while the Velcro on the pocket lids helps keep items contained and secure. 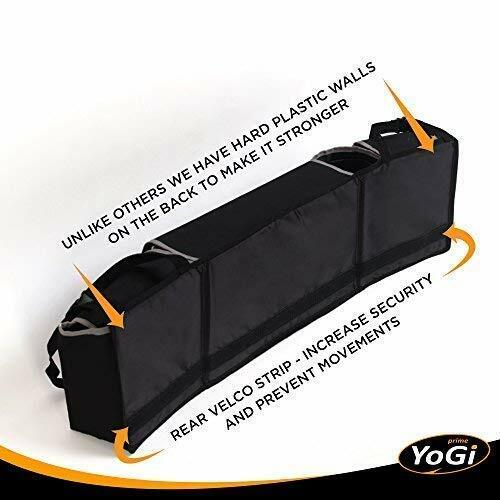 The Velcro strip at the back of the backseat trunk organizer to most car seat and trunk lining material. Water resistant premium high quality 600d polyester material gives protection against spills and makes the organizer easy to wipe clean. 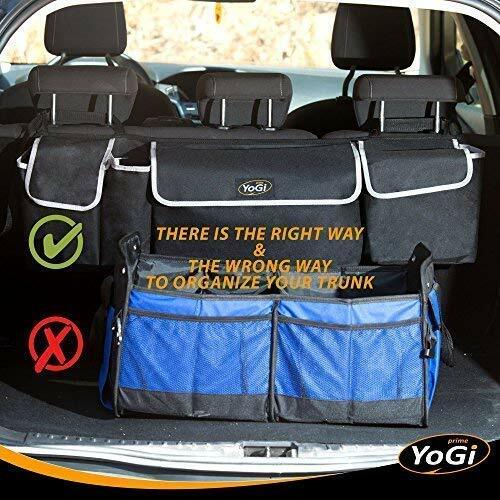 The backseat trunk organizer is installed in less than 30 seconds using the sturdy straps and clipping features.✔ Is your car trunk a mess?? Do you what it to be neat & tidy? Do you want to maximise your trunk storage ability? We have the ultimate solution for you! 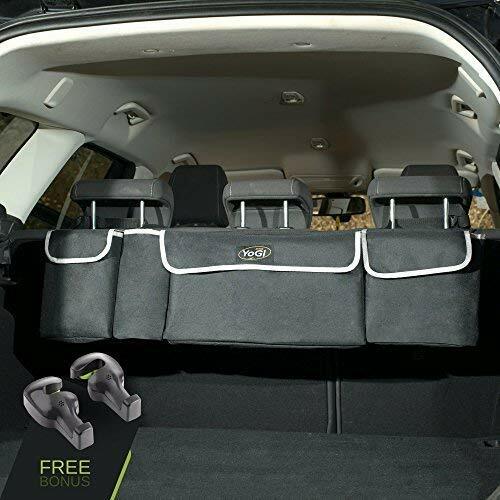 From now on you can organize your car trunk and back seat with out the need of a box that take space. ✔ 10 sec INSTALLATION – This 600D polyester lid super tough material is perfect and will last for years to come. 10 sec installation only clip around your headsets. ✔ BACKSEAT ORGANIZER- You can store all of your kid’s toys in their reach. 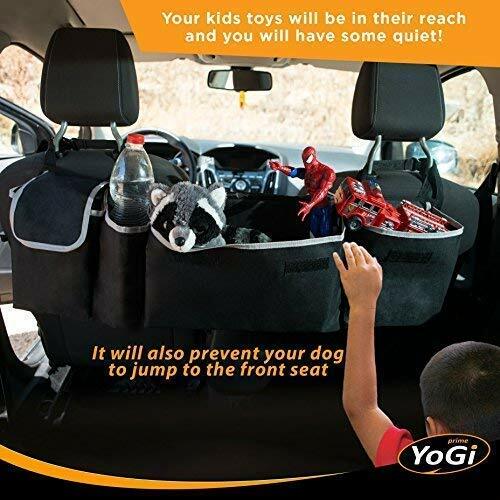 Use it as a back seat storage and also your Dog will not be able to jump to the front. ✔ NOT LIKE BOX ORGANIZER – All your mess is concealed and out of kids reach. 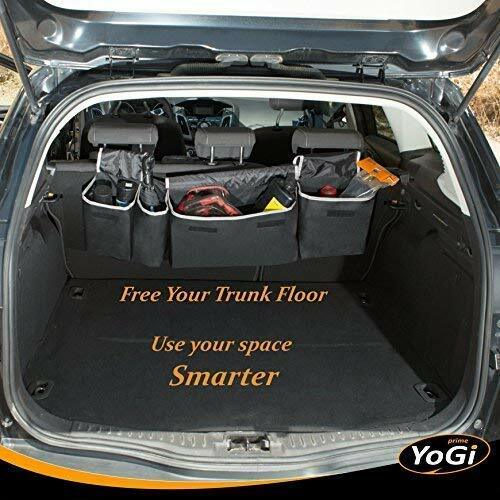 Also, your trunk floor is free to use for large items such as baby strollers and suitcases. ✔ So what are you waiting for? Buy with confidence our trunk organizer for car while we have this promotion price. I promise that you will not be disappointed.